Qatar's Barwa Real Estate is looking to invest in the London property market before the end of the year, the company's deputy group chief executive said on Tuesday. "We're looking for a few investments in Europe, mainly London. We're interested in hotels, business towers and hope to finalise an investment before year end," Ahmad Abdulla al- Abdulla told Reuters on the sidelines of the Cityscape real estate conference in Dubai. He did not give details on potential targets or how much the company is willing to invest in Europe. The oil rich state's sovereign wealth fund has spent 5.7 billion euros ($7.36 billion) on real estate since 2007, almost 80 percent of it in London and Paris, August data from research firm Real Capital Analytics showed. 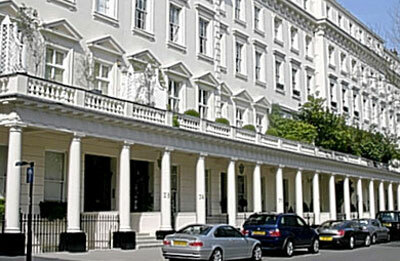 Barwa, the Gulf state's largest listed property developer, has investments in the UK, France, Switzerland and Turkey, and owns a building in London's upmarket Mayfair Conservation Area. Barwa's main focus is on developing projects in the local Qatari real estate market ahead of the soccer World Cup in 2022. "The company's international business makes up between 10-20 percent of our overall portfolio. We're focusing on Qatar but also looking at buying property in the U.K.," he said, noting that asset valuations in London have become attractive. Investors from Qatar have embarked on a shopping spree in London over the past few years buying a stake in Songbird Estates, owner of London's second financial district Canary Wharf, luxury department store Harrods and the European Union's tallest skyscraper, the S hard. Barwa may tap banks to part-finance a major project in Doha as early as next year, the company's deputy group chief executive said on Tuesday. "The project will be financed through 30-40 percent equity and 20 percent bank lending with the rest from pre-sales," Al Abdulla said, adding that the project is a 50/50 partnership with Bahraini investment firm Arcapita. "We don't plan a bond issue anytime soon but hope to talk to banks for the financing of the project next year, that's if needed." Located within the planned coastal Lusail City north of the capital Doha, the project will include 4,000 residential units and a golf course, and is expected to be ready by 2018.